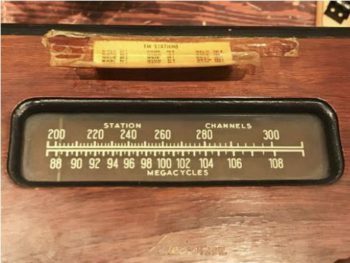 Bart Lee restores a beat-up 1948 Meissner 8C Fm Tuner known as the “Receptor.” The unit was made by Maguire Industries. A war-profiteering wheeler-dealer named Maguire started the firm in order to get into the radio business after World War II. Whether the Meissner radio company ever had any connection with the German radio pioneer Alexander Meissner cannot readily be determined. Lots of nice tips, Bart. Nothing ever goes 100% free of calamity, be glad it was only the dial cord that broke. About power cords – beware the ungrounded, backwards wired, and defective wall outlets!